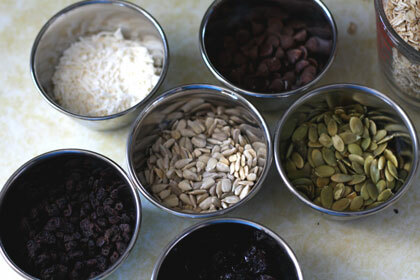 Balance Body & Soul Nutrition // Health Tips Blog // Healthy Snacking & Some Yummy Granola Balls! Healthy Snacking & Some Yummy Granola Balls! Whether you’re trying to lose weight, gain more energy, or just adopt better eating habits in general snacking is an important part of your day! A lot of focus is put on what we eat at our main meals - so much so that snacks become an afterthought and many people are left stranded without food while on the go. Snacks don’t have to be elaborate in either their ingredients or in planning, but they do need to be balanced in order to do their job. While the ultimate goal of snacking is to satisfy hunger and sustain us until our next meal, filling your belly with any random food won’t get you far. If what you reach for is loaded with sugar or refined carbohydrates with nothing to slow down the uptake of sugar into your bloodstream, your blood sugar will spike and you’ll come crashing back down in short order, leaving you irritable, foggy, and hungry. You’d be surprised at all the areas where sugar is hiding though, so don’t let that seemingly healthy yoghurt or granola bar fool you. 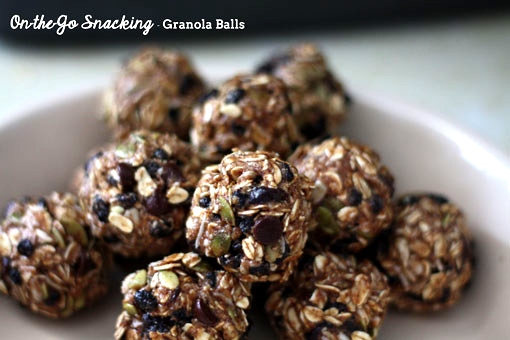 Another snack that I’m quite fond of are these granola balls. They’re easy to make, require no baking whatsoever, keep well in the fridge, and are totally portable. I also love the fact that my son and I can make them together! 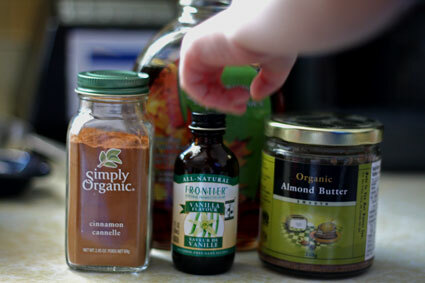 If you need a nut-free option either for yourself or for your school/workplace, omit the nut butter and use a seed butter like pumpkin or sunflower. 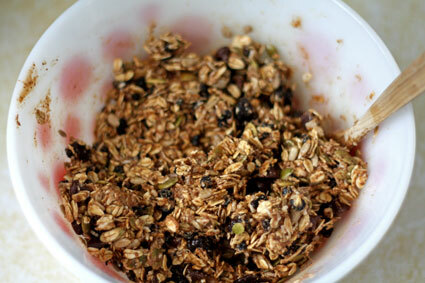 Like my granola and trail mix recipes, feel free to subtract and add ingredients that are better suited to your taste. It really doesn’t matter, just as long as you keep the ratios relatively similar, otherwise they might not hold together. And if, for some reason, they aren’t holding together well, add some more nut/seed butter and that will help them! 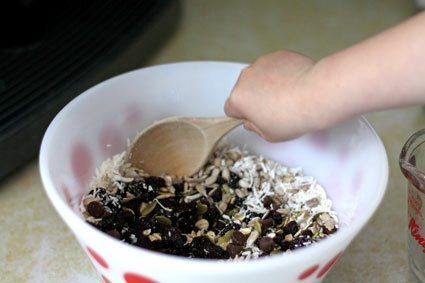 Step 1 – In a large bowl combine all dry ingredients, then mix in wet ingredients. 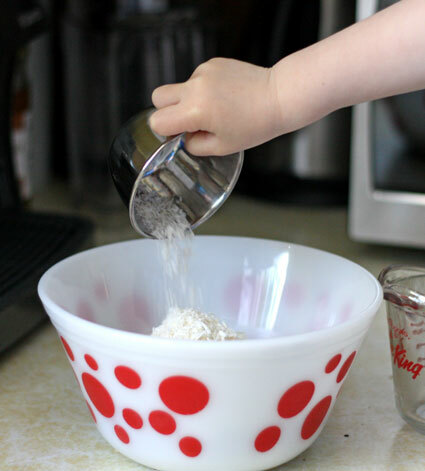 Step 2 – Moisten hands with water and form golf ball sized balls from mixture (will be very sticky!). Or, press into a parchment sheet lined pan, chill, and then remove from pan and cut into squares. 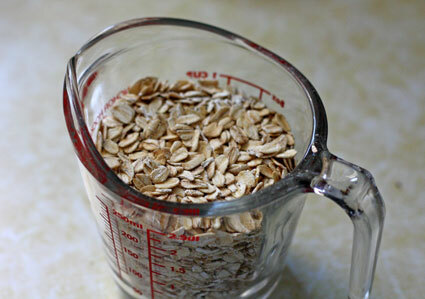 Step 3 – Place in freezer for 20 minutes to set. Store in the fridge for easy snacks. There are many variations of this handy snack floating around, but I was introduced to them by a friend while studying nutrition. My son and I spent 10-15 minutes together assembling the ingredients, I rolled the balls, and he enjoyed his snack. He enjoyed helping in the kitchen, and even managed to photobomb me while I was taking shots for the post. Fun times had by all. Whether you are creating snacks for yourself or your family, remember, you should never be going longer than 3 hours without eating something, and with a little forethought and preparation your snack choices need never be driven by desperation.